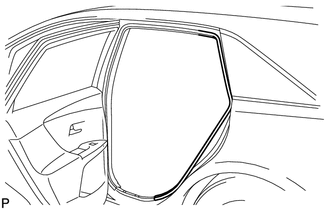 (a) Remove the rear part of the rear door opening trim weatherstrip to the extent that allows removal of the deck trim side panel assembly and roof side inner garnish assembly. 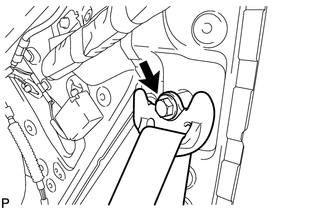 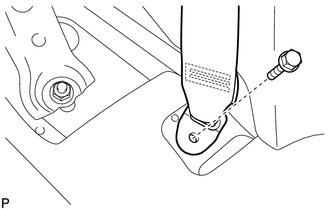 (a) Remove the bolt and disconnect the floor end of the rear seat outer belt assembly. 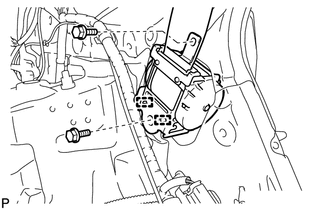 (a) Remove the bolt and disconnect the shoulder anchor of the rear seat outer belt assembly.